ARTICLE: How did Caitlyn Jenner change the news on transgender people? On 24th of April 2015 Olympic gold medalist Bruce Jenner publicly announced his gender transition into Caitlyn Jenner. The announcement was shortly followed by a reality television show focusing on her. Minjie Li, of Louisiana State University, has studied how American national media’s coverage of transgender issues changed after Jenner’s announcement. Minjie analysed all US national television and newspaper stories on transgender issues from during five months before and five months after Jenner’s announcement. The sample consists of a total of 223 stories from three news outlets: The New York Times, The Washington Post, and USA Today. News on transgender issues were both more prevalent and nuanced during the “Caitlyn Jenner era” than before, Minjie discovered. There were, however, some aspects of the coverage that were not affected: the high proportion of transwomen to transmen and gender non-conforming individuals remained practically unchanged. This confirms earlier findings about the disproportionate coverage of gender identities, Minjie notes. The article “Intermedia Attribute Agenda Setting in the Context of Issue-Focused Media Events” was published by the journal Journalism Practice. It is available online (abstract free). 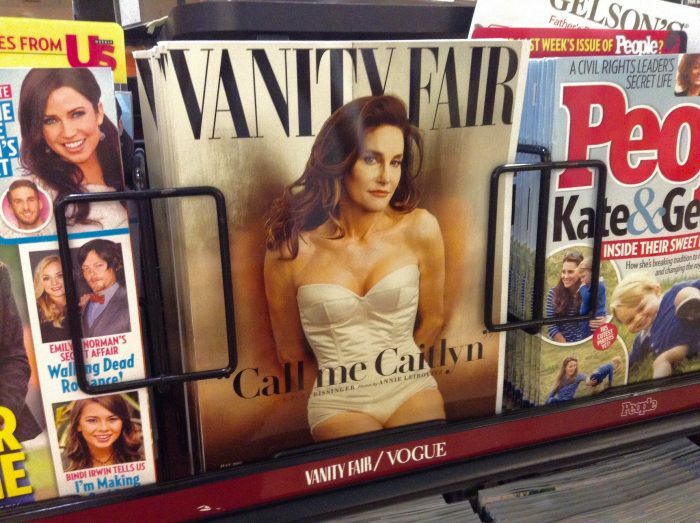 Picture: Caitlyn Jenner, Formerly Bruce Jenner, Vanity Fair Cover by Mike Mozart, licence CC BY 2.0.